In 1906, Henry Warren was on vacation with his family in Oyster Bay, NY. 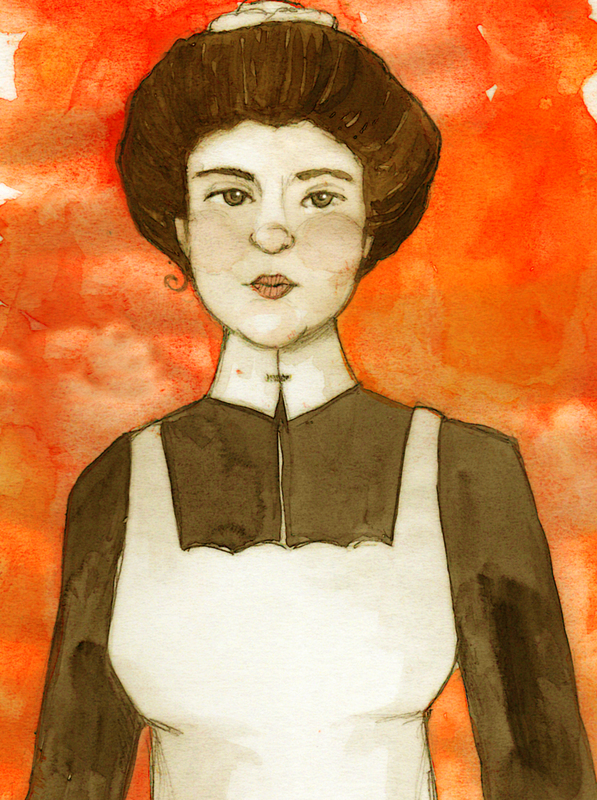 They had hired an Irish woman, by the name of Mary Mallon (1869 – 1938), as their cook. The family LOVED her ‘peaches on ice’ dish along with everything else she cooked. After a short period, Mary left to look for another job. After a few weeks, 6 out 11 members of the Warren house contracted Typhoid fever. At the time, it was thought this disease only effected poor people in the slums – living in filthy conditions. In shock over how his wealthy household could have Typhoid, an investigator was called in. It had recently been documented that healthy people could carry the disease, so the investigator immediately suspected the cook. He tracked her down to another household but just missed her. sort of. Mary was hiding in an outdoor closet. After many tests, they discovered that she did, indeed, carry the virus- with no symptoms. She spent three years in an isolation hospital… but the public got wind of a healthy woman in an asylum and demanded her release. The officials let her go, but only under the condition that she have her gall bladder removed – or – stopped working as a cook. Mary did not follow the stipulations set and disappeared. In 1915 there was an outbreak of Typhoid in Sloan Maternity Hospital in NY. The hospital’s cook was, you guessed it, Mary Mallon (using the alias Mrs. Brown). She was committed to the isolation hospital once again and stayed until her death in 1938. “The Most Harmless and yet Most Dangerous Woman in America” – Headline, 1909.
don’t get her dander up. This is a HW Follower request! Perfect for this month’s feature: Ireland & Scotland. 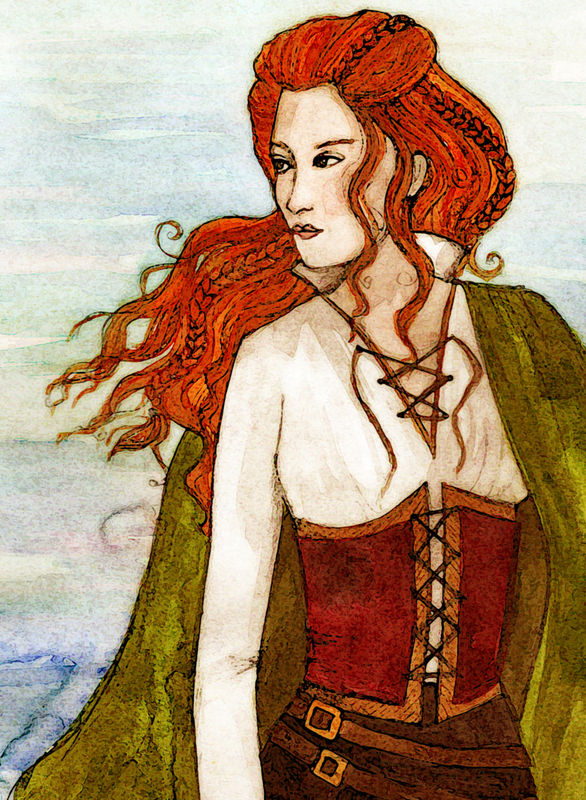 Grace O’Malley (1530 – 1603) was the called the Sea Queen of Connacht. She inherited a large shipping and trading business from her father (they were accused many times of piracy). Between this and the land passed on to her through her mother, Grace was a very wealthy woman in 16th century Ireland. In 1593, her sons and half-brother were kidnapped by the English governor of Connacht, Sir Richard Bingham, Grace sailed straight to England to petition to for their release. She made her case directly to Elizabeth I at Greenwich Palace. The two (FABULOUS) women agreed that Sir Bingham was to be removed from his position in Ireland and Grace was to stop supporting the rebellion. Btw- their entire discussion was in Latin, Elizabeth did not speak Irish and Grace did not speak English. Seems quite civil… but neither kept their end of the bargain. Bingham went back to his post, O’Malley never got the cattle he stole – and – she rejoined the rebellion with zeal! Don’t mess with the Dunbar dress. Agnes Randolph, Countess of Dunbar and March, was better known as Black Agnes. This was due to her dark hair and eyes. She was the wife of Patrick, 9th Earl of Dunbar and March. 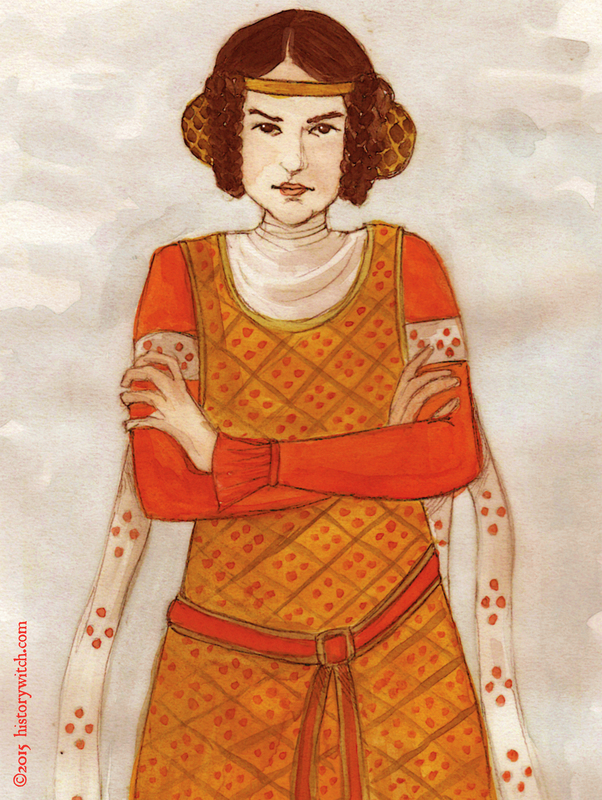 She was also the daughter of Thomas Randolph, 1st Earl of Moray- nephew and companion-in-arms of Robert the Bruce. Continuing with this month’s theme: the ladies of Scotland and Ireland, this is Flora MacDonald (1722 – 1790). 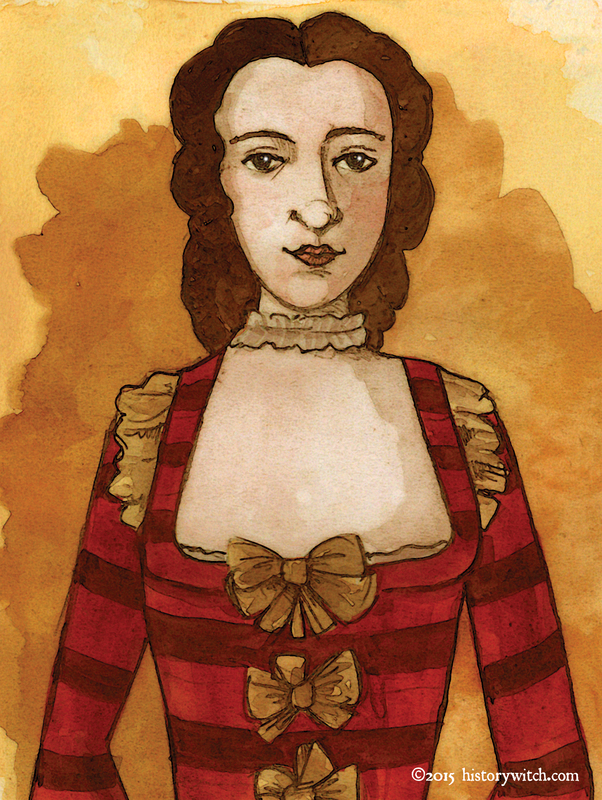 She is hailed as a Scottish heroine for helping Bonnie Prince Charlie evade capture after the defeat at Culloden. 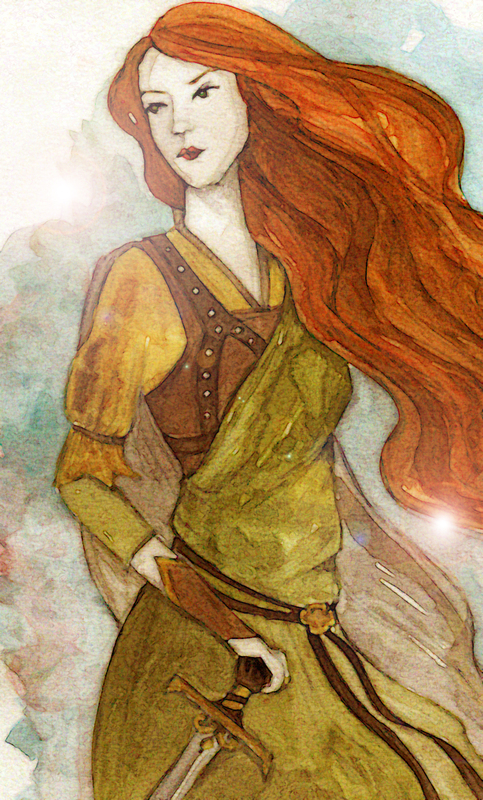 For her role, Flora obtained a pass to travel from the Outer Hebrides to the mainland- through this pass, she was allowed to bring two servants and six boatmen. They disguised Charles Stuart as one Betty Burke, the Irish spinning maid. They made it to Skye by boat. Charles escaped to France, but Flora was thrown in the Tower of London. She was released in 1747. She married and emigrated to North Carolina to raise her family. The Skye Boat Song was written about this clever escape. I happen to like the version currently being used as the Outlander Series theme song.